Woodcarving lends itself perfectly to signs, billboards, displays, and even car bumpers. Artisans experience in woodcarving includes hand lettering in a variety of common or custom carving fonts. 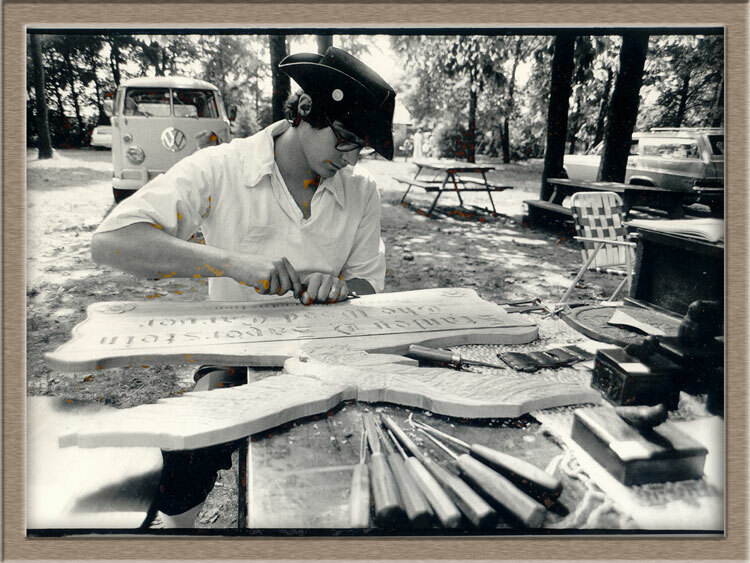 Shown left; this photo is circa 197?, featuring a young Stanley demonstrating a sign carving. 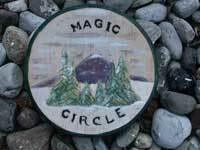 Our signs are each one of a kind, and usually include a feature carving detail relating to the message. 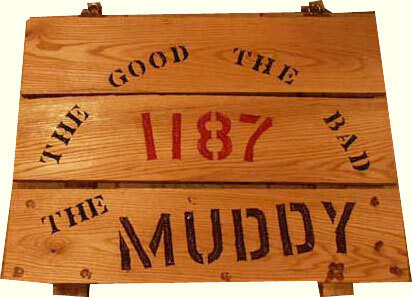 We can design formal, folk art, rustic, signs, or any style you may choose. 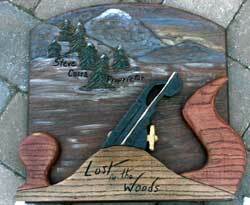 We can hand carve plaques, lettered in carving, or order brass plates for memorials, awards, or for displays, and even the sign or mailbox posts that hold them. A unique creation from Stanley's mind executed in the free time of his retirement this mailbox is an addition to his home and shop. Carved with flowers and vines, an eagle post cap, and wood spirits the functional mailbox holds the sign in front of our shop. 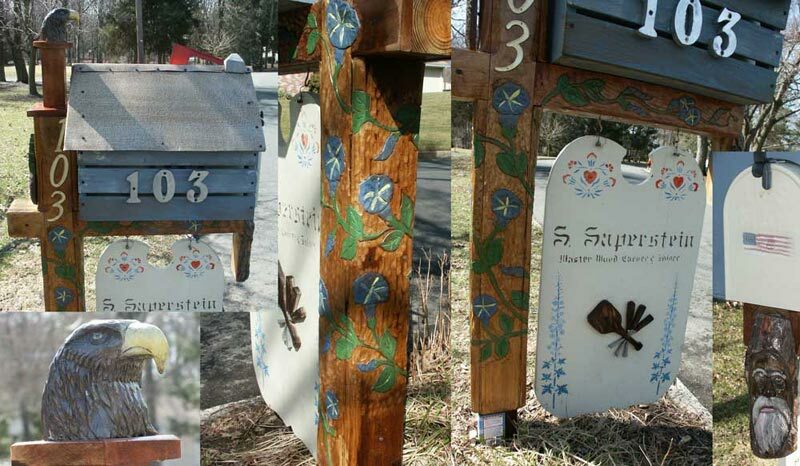 Another example showing almost anything can be carved; we offer our carving services for mailbox posts as well as signs for homes, farms, and business. 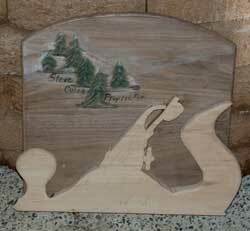 Shown right is a country style carving in sugar pine; a peaceful lake shoreline with a dock and passing geese. 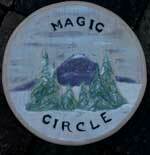 Brightly accented with acrylic water colors and sealed for weather with an acrylic enamel. 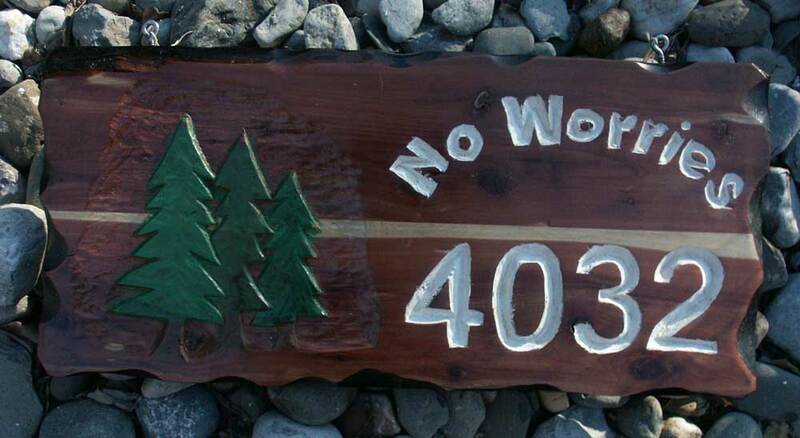 This simple sign (left) was carved for a friend of ours who has his permanent campsite at a four-wheeler club, expressing a twist on a common phrase and displaying his slightly warped sense of humor. 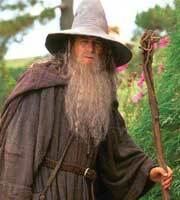 Combining background and appliques can create depth, texture, and illustrate any imaginable form. 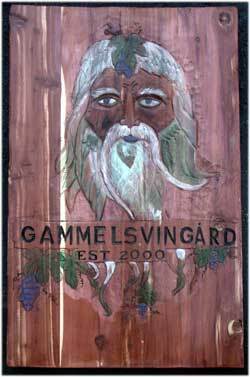 This sign was a gift designed for a woodworker in the Rocky Mountains, modeling the applique after his favorite plane. 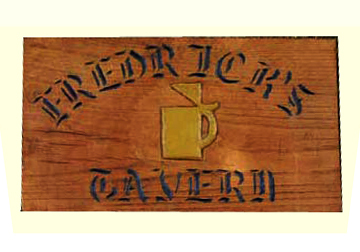 This simple and rustic tavern sign hangs over a home bar. 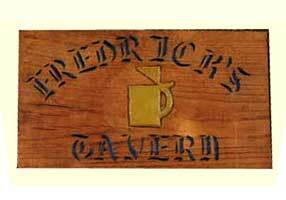 A unique and personalized gift, tavern signs go perfect in homes, restaurants, or pubs. This sign is one of Eric's early carvings, a little rustic and ten years back in carving experience, but it provides a great example. A custom made solid oak bumper sporting "Killer Beetle" fits a hot rod VW bug. 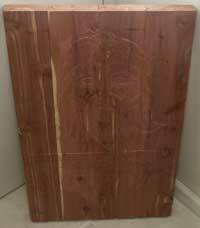 Artisans can work with your specifications to provide a beam style bumper for almost any truck or car. We can also outfit stake body style signs for commercial or show vehicles. This custom "Magic Circle" sign will be placed in a clearing within a circle of tree's in the rocky mountains. Below, this cute sign carved on solid walnut is a simple saying providing a reminder of an inside joke, and a great vacation. 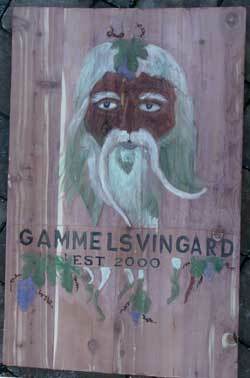 A classic wood spirit, in this case a grape vine spirit. We'll explain a little more about the history of and mythology behind these unique carvings that captivate cultures around the world. 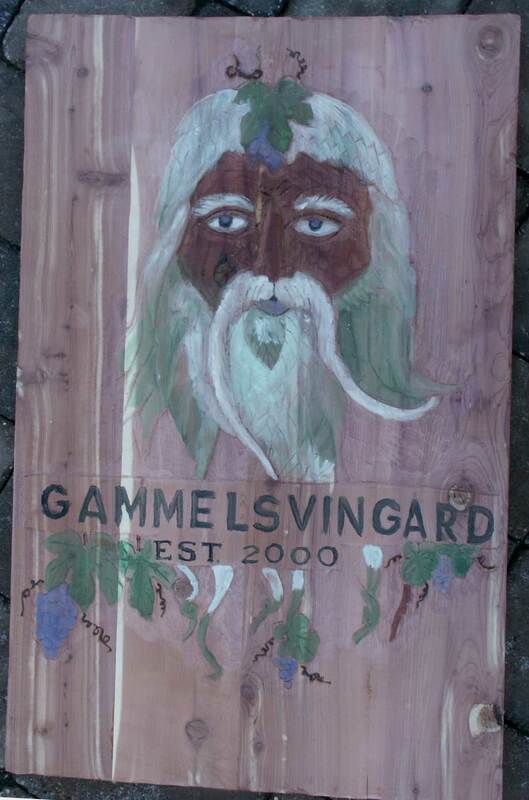 The sign on the left is almost ghost like, the carving is complete but it is barely visible. Top Left is the unfinished and un-tinted sign. Moving to the right the initial tinting is applied, bringing out the detail. Next a sealing finish was applied to bring out the natural grain, mute the tinting and balance the background so that the face is slightly darker skin tone than the surrounding material. 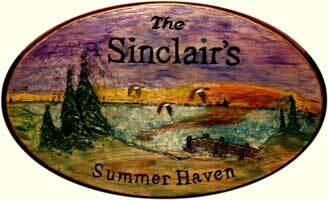 Another example of a cedar sign, this plank style is a country carving. 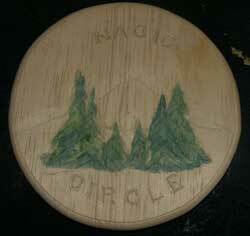 Simplistic style - very basic trees and lettering that could appear on any country roadside farm. 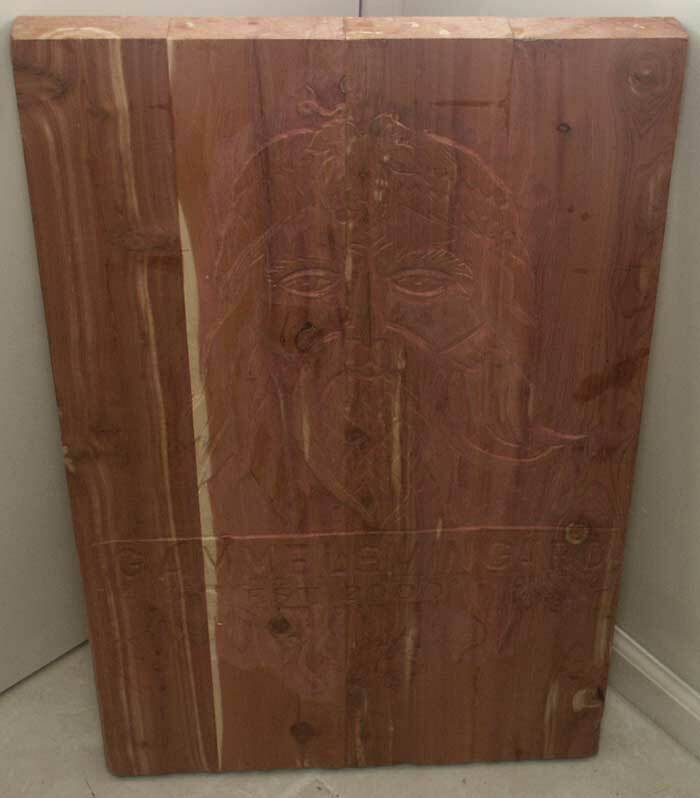 A classic eagle carving, this appliqu� easily adapts to signs, furniture, or as stand-alone artwork. Artisans can design and create a variety of wildlife art, scrollwork, or custom requests as appliqu�s. 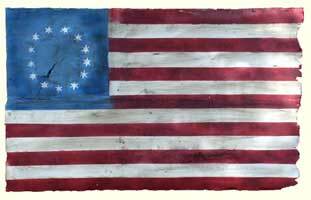 Another twist on the patriotic theme is flags, hand made wooden plaques; featuring any number of folk art representations of American, State, or Foreign flags. 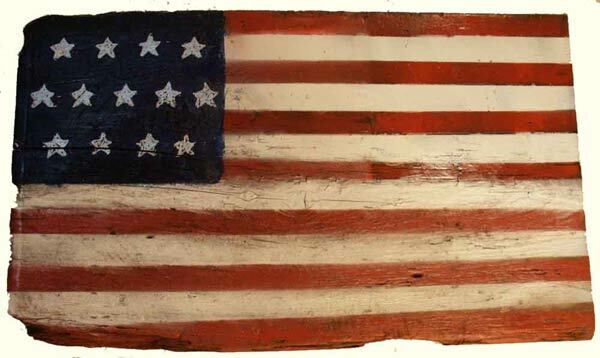 These aged wood pieces show a battle worn style American flag, hand painted. Flags are also available carved. This was a simple, but unique, piece. A walnut mounting plaque for a glass thermometer. Customized mountings are available for just about anything - firearms, swords, taxidermy, awards, or any object you may want to display! 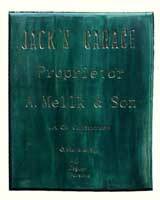 Plaques are available in any standard hardwood, simple polished look or with hand carving. Custom Gavel (Below Left) - a great functional piece, ceremonial prop, or honorary gift. 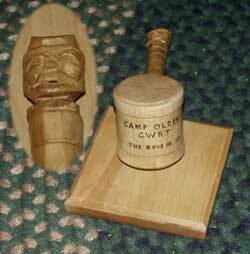 Inscriptions can be burned or carved, turned mallet head and combination turned and whittled handles. 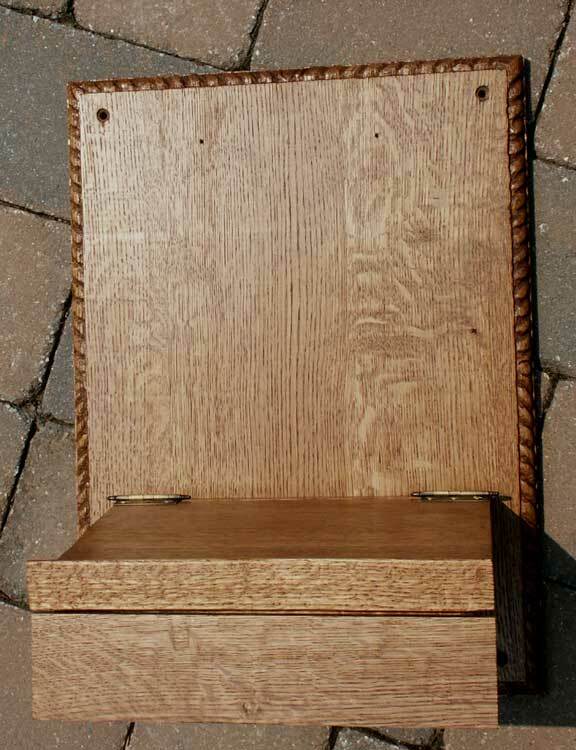 These make grate gifts or commemorative items for past presidents or special organizational occasions. 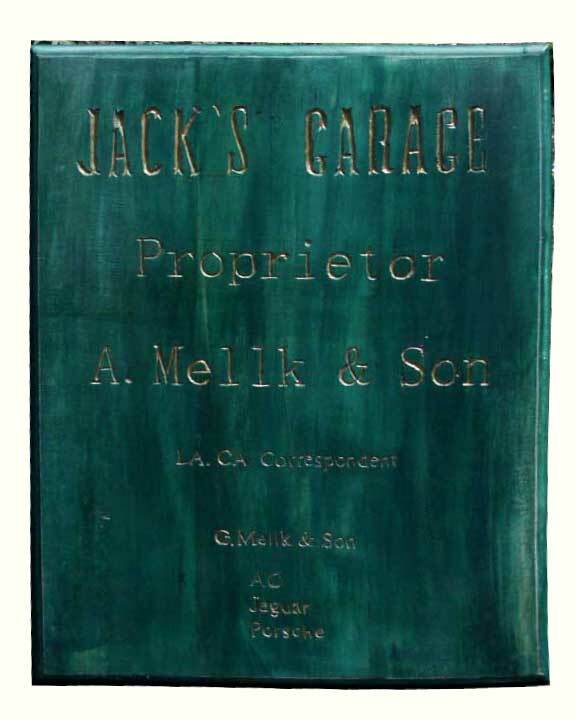 Antique Phone - Wall Plaque (Below Right) Check back soon for photos of this piece with its phone in place. 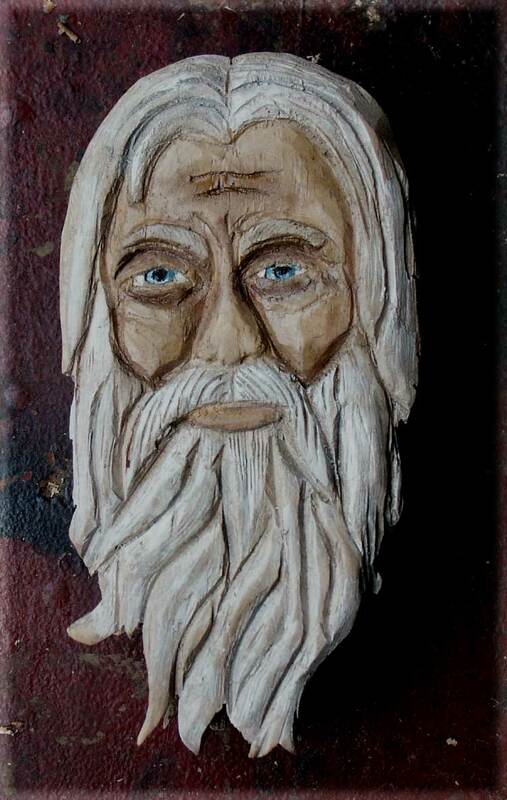 Another unique commission - this Gandalf door knocker is destined for a Hobbit House being custom built as a guest home for a client's grandchildren!